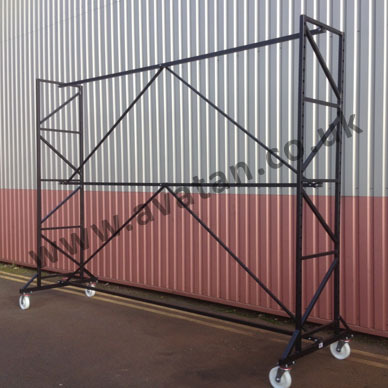 Double sided carpet rack dispenser. 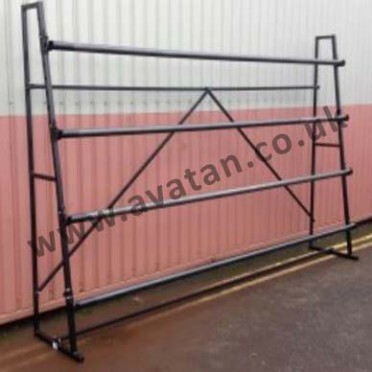 Island carpet display and storage stand suitable for 4 rolls, 6 rolls, 8 rolls or 10 rolls. 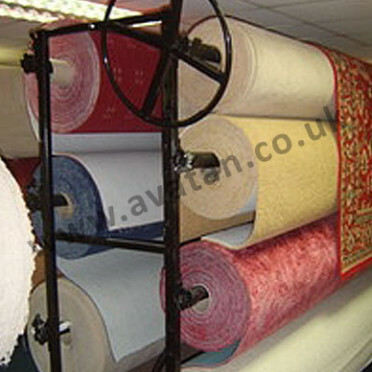 Available for 4m and 5m rolls. 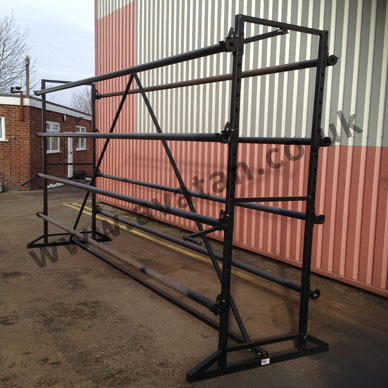 Carpet rack comprising end frames, horizontal and diagonal bracing, winding handle, and supplied with carrier bars with ratchet ends. 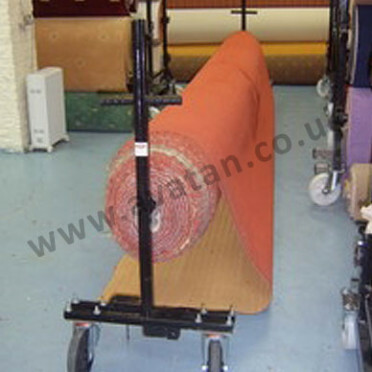 Also supplied with clamping accessories in order to facilitate winding of the carpet rolls onto the carrier bars. Finished in black air dry paint. 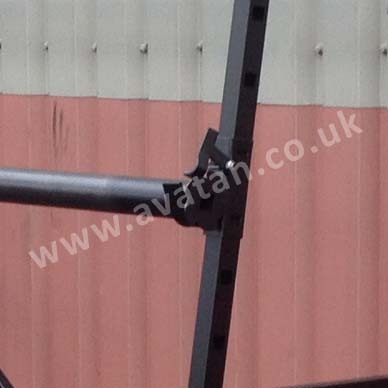 Supplied KD for easy customer self assembly. 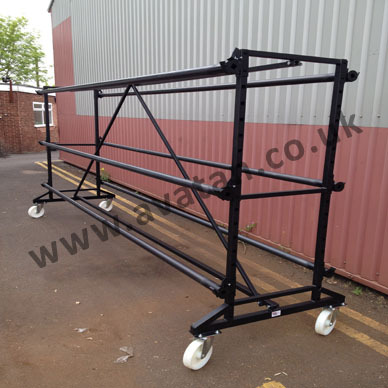 Available for static use or alternatively Mobile Carpet stands are mounted on optional swivel braked castors for ease of movement.